Combine two best-selling tours and save up to 10% off the regular prices with this great-value Super Saver package. First, sample delicious Portuguese foods and wines during a gourmet walking tour of Lisbon's Bairro Alto district. 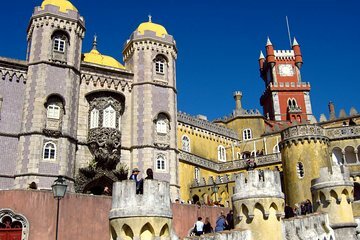 The next day, enjoy a day trip to the UNESCO-listed Palace of Sintra, including a visit to the seaside town of Cascais and Cabo da Roca, the westernmost point of Europe.